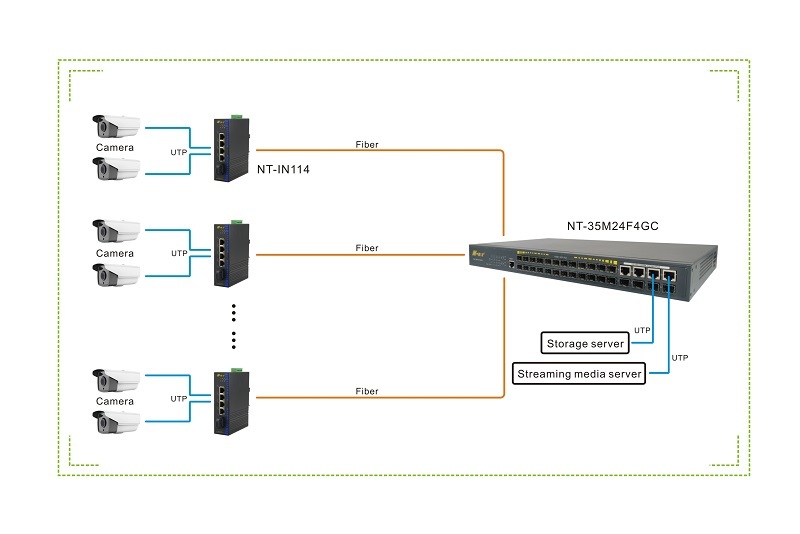 NT-35M24F4GC is a L2 managed switch with 24 optic SFP ports and 4 gigabit combo uplink ports. 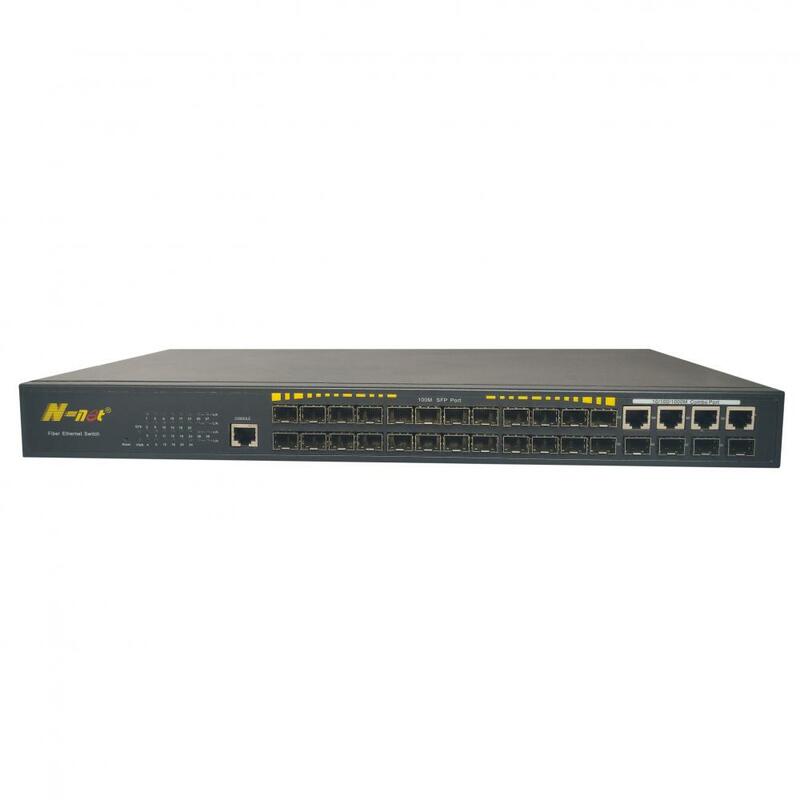 This managed switch support a wide range of Layer 2, VLAN, multicasting, Quality of Service (QoS), security, data center, and static routing functions.The fast Ethernet switch features built-in smart fans; internal heat sensors monitor and detect temperature change, and react accordingly by utilizing different fan speeds for different temperatures. At lower temperatures, the fans will run slower and reduce the switch`s power consumption and noise. 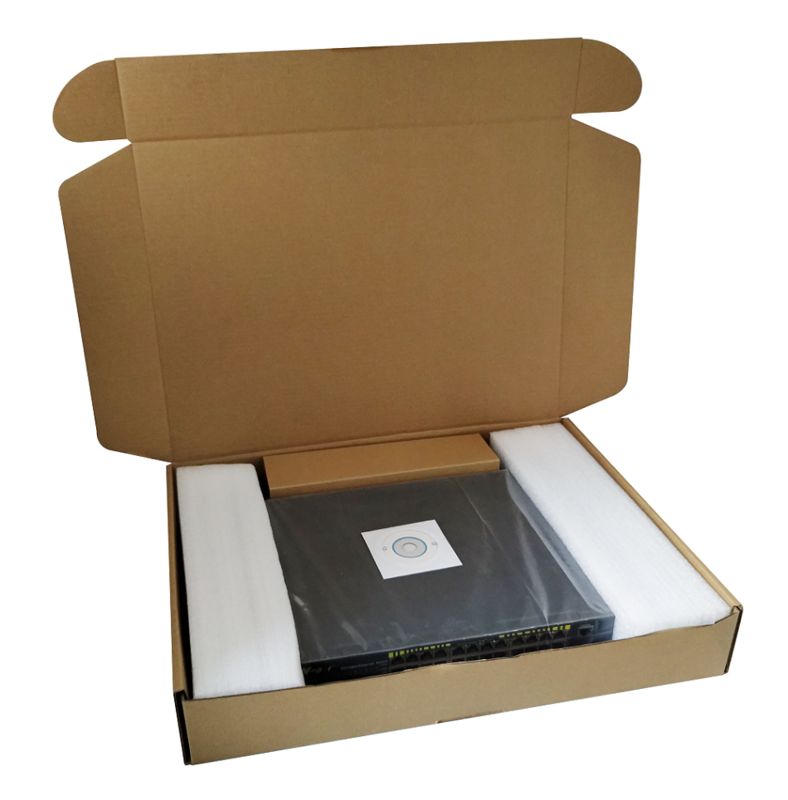 Support L2+ Switching features including 802.1Q VLAN, Port Mirroring, Port isolation, IGMP Snooping. 8. Support enhanced management through WEB, CLI, SSH, SNMP.